After a bankruptcy declaration in 2011, Metro-Goldwyn-Mayer has regained its position as a profitable major film studio in the last five years. MGM Studios is owned by the larger parent company of MGM Holdings Inc., a company formed from what was formerly Spyglass Entertainment . In 2015, the studio made $1.56 billion in revenue, resulting in an operating income of $258.78 million. This was up from $1.44 billion and $243.03 million, respectively, in 2014. 2015 was the company’s third consecutive year of posting record revenue and income. MGM Holdings’ total assets currently stand at $3.045 billion . The studio has been in the process of repurchasing its stocks since its bankruptcy, and in March announced that $300 million more would be added to their repurchasing plan. The ramping up of the repurchasing plan has been taken as a sign of confidence in the company’s continued growth . In January of 2016, MGM fully acquired the United Artists Media Group, a film and television production company that had been a joint venture with Mark Burnett, Roma Downey and Hearst Productions. MGM had acquired a 55% stake in Burnett, Downey and Hearst’s One Three Media and LightWorkers Media in September 2014, and relaunch the companies as United Artists. As of January 2016, all revenues, expenses and assets of United Artists are now consolidated under the MGM name . MGM’s three top executives are Chairman and Chief Executive Officer Gary Barber, President of the Television and Digital Group Mark Burnett, and President of the Motion Picture Group Jonathan Glickman. Barber and Glickman were previously the heads of Spyglass Entertainment, where Barber oversaw the production of a total of $5 billion in box office productions. MGM became the first studio to release back-to-back films making over $1 billion at the box office under Barber’s leadership with The Hobbit: An Unexpected Journey and Skyfall. Burnett was named to his position in January 2016, when MGM fully acquired his United Artists company. His former United Artists co-owner Roma Downey is President of LightWorkers Media, which is now the “faith and family division of MGM Television” . MGM has only released two films thus far in 2016, both of which were coproduced with New Line Cinema and were distributed by New Line’s parent studio Warner Brothers  . These films were How To Be Single and Barbershop: The Next Cut, both relatively small-scale but still distinctly mainstream offerings, opening in 3,343 and 2,661 theaters respectively. How To Be Single was by far the more successful, bringing in $46.8 million in domestic box office revenue and a total of $105.3 million worldwide, against a production budget of $38 million . Barbershop was less successful, though not necessarily a flop. It brought in $20.2 million in its opening weekend (April 15-17) against predictions in the high-$20 millions range. Its production budget has not been released to the press . These films also show that MGM is willing to target underserved demographics with their films, with How To Be Single being described as attempting to be a “feminist rom-com” and Barbershop being specifically marketed towards African-Americans. MGM has three more coproductions with release dates in 2016, each with their own significant potential for profit. Me Before You is slated for a June 3 release, and is a romantic drama abou a young woman (Emilia Clarke) who falls in love with a paralyzed man she is caring for (Sam Claflin) . The plot description puts in squarely in the vein of other successful films like The Fault In Our Stars and Me and Earl and The Dying Girl, which also dealt with themes of serious illness and young adult romance. The film’s cast should also appeal to this young demographic, as Emilia Clarke is a rising star due to her role as Daenerys Targaryen on the HBO television show Game of Thrones (also in the film is Clarke’s Thrones co-star Charles Dance) , and Sam Claflin has gained fame from the Hunger Games series . The film is based on the acclaimed novel of the same name by Jojo Moyes. MGM is co-producing the film with New Line Cinema (a division of Warner Bros.) and Sunswept Entertainment . Ben-Hur is the first of MGM’s two remakes of classic films in 2016, and will be released on August 19. It’s also the more outwardly risky- its director, Timur Bekmambetov, is hardly an established hitmaker, and the only big name in its cast is Morgan Freeman in a supporting role (the title role is played by the essentially unknown Jack Huston) . Still, Ben-Hur has the name recognition of one of the most famous and successful films ever made, as well as the appeal of a big-budget summer blockbuster. MGM is co-producing the film with Paramount Pictures . The Magnificent Seven, set for release on September 23, is a remake of the classic John Sturges Western starring Steve McQueen and Charles Bronson, itself a remake of Akira Kurosawa’s legendary Seven Samurai. The film is being directed by Antoine Fuqua (Training Day, Southpaw), and stars Denzel Washington, Chris Pratt, and Ethan Hawke, among others . That combination of commercially successful director and all-star cast is a solid predictor for the film’s financial success. Pratt, especially, has been a major draw at the box office, headlining such hits as Guardians of the Galaxy and Jurassic World . MGM is co-producing the film with Columbia Pictures, a subsidiary of Sony Pictures . Future projects of MGM’s include a recently announced reboot of the Tomb Raider series, which they will coproduce with Warner Bros  (Daisy Ridley, star of Star Wars: The Force Awakens, has been confirmed as being in talks to star in the series) . This would be the newest in a succession of recent MGM coproductions with Warner Bros., including films like the Hobbit trilogy and Creed and its upcoming sequels . Other future MGM productions include a remake of the 1968 heist thriller The Thomas Crown Affair with Creed star Michael B. Jordan . It’s not clear whether MGM will make a return to producing or distributing films by themselves, or whether they will continue serving only in a co-producer or co-distributor role, as they have since their bankruptcy. The studio has released progressively more films per year since the 2010 bankruptcy, climbing from one release in 2010 to seven in 2015 . Metro-Goldwyn-Mayer is still a long way from their former position as the largest and most profitable movie studio in Hollywood , but the success they’ve had in their recent films and their continued financial growth bodes well for the future of the company. Koscis, James (November 10th, 2009). MGM Logo. James Koscis Design + Imaging. Retrieved: April 18th 2016. Ovide, Shira and Spector, Mike (November 5th, 2010). Everything You Need to Know about the MGM Bankruptcy. The Wall Street Journal. Retrieved: April 10th 2016. Investor Relations. MGM Studios. Retrieved: April 12th 2016. Lieberman, David (March 25th, 2016). MGM Board Adds $300M To Stock Repurchase Plan. Deadline. Retrieved: April 13th 2016. McNary, Dave (December 14th, 2015). Mark Burnett Named President of MGM Television. Retrieved: April 12th 2016. Today. MGM Studios. Retrieved: April 12th 2016. How to Be Single (2016)- Company Credits. IMDb. Retrieved: April 15th 2016. Barbershop: The Next Cut (2016)- Company Credits. IMDb. Retrieved: April 15th 2016. How to Be Single (2016). Box Office Mojo. Retrieved: April 10th 2016. Barbershop: The Next Cut (2016). Box Office Mojo. Retrieved: April 10th 2016. How To Be Single. IMDb. Retrieved: April 10th 2016. Titles- Me Before You. MGM Studios. Retrieved: April 17th 2016. Game of Thrones. IMDb. Retrieved: April 17th 2016. Sam Claflin. IMDb. Retrieved: April 17th 2016. Me Before You- Company Credits. IMDb. Retrieved: April 17th 2016. Ben-Hur. IMDb. Retrieved: April 18th 2016. Ben-Hur (2016)- Company Credits. IMDb. Retrieved: April 18th 2016. The Magnificent Seven. IMDb. Retrieved: April 18th, 2016. Chris Pratt. IMDb. Retrieved: April 18th, 2016. The Magnificent Seven (2016)- Company Credits. IMDb. Retrieved: April 18th, 2016. McNary, Dave (February 25th, 2016). Warner Bros. Joins MGM on ‘Tomb Raider’ Reboot. Variety. Retrieved: April 20th, 2016. Ritman, Alex (March 21st, 2016). Daisy Ridley Confirms ‘Tomb Raider’ Reboot Talks. The Hollywood Reporter. Retrieved: April 20th, 2016. Kit, Borys (February 24th, 2016). Michael B. Jordan, MGM to Remake “The Thomas Crown Affair. The Hollywood Reporter. Retrieved: April 20th, 2016. Michael B. Jordan. IMDb. Retrieved: April 23rd, 2016. Metro-Goldwyn-Mayer: Completed. Movie Insider. Retrieved: April 23rd, 2016. Metro-Goldwyn-Mayer, Inc. Encyclopedia Britannica. Retrieved: April 23rd, 2016. Posted in TRF235 Spring 2016	| Tagged Ben Hur, Chris Pratt, Creed, Daisy Ridley, Denzel Washington, Emilia Clarke, Ethan Hawke, Game of Thrones, Guardians Of The Galaxy, Jurassic World, Mark Burnett, Me Before You, MGM, MGM studios, Michael B Jordan, Sam Claflin, Skyfall, Star Wars: The Force Awakens, The Hobbit, The Hunger Games, The Magnificent Seven (2016), TRF 235, Warner Bros.
MGM Studios was founded in 1924 through the merger of three pre-existing studios: Metro Pictures Corp., Goldwyn Pictures, and Louis B. Mayer Productions. This leading entertainment company is involved primarily in the production and distribution of films and television programs. Some of the studio’s early work include successful classics such as Gone with the Wind and The Wizard of Oz . Once a major player in the industry, MGM filed for Chapter 11 Bankruptcy in 2010 but emerged shortly thereafter, leaving Gary Barber and Roger Birnbaum of Spyglass Entertainment as heads on the company . A mere two years later however, Birnbaum left MGM to return to producing, making Barber the sole CEO and Chairman of the company . 2014 marks the 90th Anniversary of the studio. In celebration, movies will be re-released on Blu-ray and a special trailer will be played throughout theaters giving the viewers a glimpse into the rich history of the company . Although still partially privately held by MGM Holdings Inc. MGM has been publicly releasing its finances since its bankruptcy in 2010 and IPO for MGMB was offered in 2012. In its most recent quarterly report (Q3), the company announced net income of $28.5 million, up from 16.5 in the same quarter last year. The revenue however, came in about $9 million lower in comparison to the same quarter in 2013 . This drop was expected since 2013 generated significant revenue thanks to the “theatrical explosion” of Skyfall, the 23rd installment in the successful James Bond franchise, in late 2012 . MGM also revealed in its report that it had paid $343 million for a 55% stake in a joint venture with Mark Burnett, Roma Downey, and Hearst Entertainment Productions . All of the interests will be consolidated in United Artists Media Group – a new media venture. This venture gives MGM a stake in successful television shows such as Survivor, The Voice, Shark Tank, and the upcoming miniseries A.D. . The Hobbit: Battle of Five is the final installment in Peter Jackson’s Hobbit trilogy based on J.R.R. Tolkien’s fantasy novel of the same name. It is a co-production with New Line Cinema, WingNut Films, and Warner Bros. who also is the film distributor. According to Jackson, the movie is not so much about this final battle per se, but rather about what will happen to beloved characters. The film stars franchise favorites Ian McKellen and Martin Freeman . This past week, according to iSpot.tv, The Hobbit spent the most money in television advertising, having twelve variations of the ad play on 47 networks . Not much is known about this co-production with Warner Bros. due out this January. Directed by Boaz Yakin, the film tells the story of Max, a service dog who returns to the U.S. after his handler’s traumatizing death. Once stateside, he is adopted by the man’s grieving family and helps them heal, moving past their tragedy . This comedic farce is the sequel to the 2010 film Hot Tub Time Machine and stars funny men Craig Robinson, Rob Corddry, and Clark Duke who are all reprising their characters introduced in the first film. Joining them will be Parks and Recreation’s Adam Scott, who fill the spot left opened by John Cusack. Originally due out Christmas Day, it was announced in October that the film was being pushed back until February, thus avoiding direct competition with Sony’s fellow buddy film The Interview which stars comedy duo James Franco and Seth Rogan . MGM will distribute and co-produce the film with Paramount Pictures. Bringing together Reese Witherspoon and Sofía Vergara, the female centric comedy set for a spring release is about a cop (Witherspoon) who goes on the run with a prisoner (Vergara), who is the wife of a drug dealer . Co-produced with Warner Bro. and Newline Cinema, the action-comedy is being directed by Anne Fletcher known for popular films such as The Proposal and more recently Guilt Trip . The 80s film about a Californian family haunted by supernatural forces and was also produced by MGM, is getting an update. This remake of the horror film is written by Pulitzer Prize Winner David Lindsay-Abaire and being produced by The Evil Dead‘s Sam Raimi . Initially, the film – based on the original, considered by many to be the scariest film of all time – received an R rating from the MPAA, but producer Steven Spielberg successfully lobbied for the film to receive a PG-13 rating . Rosemarie DeWitt, who plays mom Amy Bowen, revealed that the iconic line from the original “They’re Here” will be featured in the film which will also have lots of modern tech gadgets like iPads to reflect on the current times . The currently working-titled film will be the 24th installment in the successful franchise. Daniel Craig and Sam Mendes will reprise their roles as 007 and director respectively . Additionally, Academy Award Winner Christoph Waltz has been tapped to play iconic villain Ernst Stavro Blofeld, who has not been featured in a Bond film since 1981 . Hilary Swank has recently been rumored to be the next Bond Girl, making her the oldest one in the history of the franchise, but many believe this to be just talk and that the coveted role will go to French actress Léa Syedoux . In legal news, MGM continues a copyright infringement case against Universal over Bond, claiming that their upcoming film ‘Section 6’ is a rip-off of the spy franchise. Universal has been trying to get the case dismissed since its filing in May claiming that MGM is afraid of any possible competitors . Though not premiering for over a year, this remake of the 1959 film based on Lew Wallace’s 1880 novel is already creating significant buzz. The film marks the first known collaboration between MGM and Burnett/Downey and tells the epic story of a falsely accused prince (Ben Hur) who manages to survive years of slavery and vows to take vengeance on his friend Messala who betrayed him. Boardwalk Empire star Jack Huston is confirmed to play the title role. He joins the previously cast Morgan Freeman who is slated to play Ben Hur’s mentor Ildarin . Toby Kebbell, Ayelet Zurer and Olivia Cooke are slated to star as Massala, Naomi (Ben Hur’s mother), and Tirzah (Ben Hur’s sister) respectively . Leo The Lion GIF. (n.d.). Retrieved November 19, 2014. MGM HomePage. (n.d.). Retrieved November 19, 2014. McNary, D. (2010, November 4). Judge OKs MGM Bankruptcy Motions. Retrieved November 19, 2014. Finke, N. (2012, October 3). MGM’s Roger Birnbaum Steps Down To Return To Producing; Gary Barber Now Revived Studio’s Sole Chairman & CEO. Retrieved November 19, 2014. METRO-GOLDWYN-MAYER CELEBRATES 90 YEARS OF EXTRAORDINARY FILMMAKING. (2014, January 22). Retrieved November 11, 2014. Gary Barber Photo. (n.d.). Retrieved November 21, 2014. Jonathan Glickman Photo (n.d.). Retrieved November 21, 2014. Roma Khanna Photo (n.d.). Retrieved November 21, 2014. Dene B. Stratton Photo (n.d.). Retrieved November 21, 2014. Wanvari, T. (2014, November 18). MGM Holdings revenue down, income up in Q3-2014. Retrieved November 22, 2014. MGM HOLDINGS INC. For the quarter ended September 30, 2014. (2014, November). Retrieved November 22, 2014. Lang, B. (2014, November 13). MGM Spent $343 Million for Mark Burnett/Roma Downey Joint Venture. Retrieved November 22, 2014. Fleming, M., & Busch, A. (2014, September 22). MGM Buys 55% Of Roma Downey And Mark Burnett’s Empire; Relaunches United Artists. Retrieved November 22, 2014. The Hobbit: The Battle of the Five Armies – Official Main Trailer [HD]. (2014, November 6). Retrieved November 23, 2014. Truitt, B. (2014, November 6). ‘Five Armies’ closes the curtain on Middle-earth. Retrieved November 23, 2014. ‘The Hobbit’ Battles Its Way to Top TV Ad Spend Position. (2014, November 26). Retrieved November 29, 2014. Max. (n.d.). Retrieved November 26, 2014. Hot Tub Time Machine 2 – Red Band Trailer. (2014, July 24). Retrieved November 26, 2014. McClintock, P. (2014, October 14). Christmas Exodus Continues as ‘Hot Tub Time Machine 2’ Pushes Back Release – Hollywood Reporter. Retrieved November 26, 2014. Anne Fletcher. (n.d.). Retrieved November 29, 2014. Sofia Vergara and Reese Witherspoon. (n.d.). Retrieved November 30, 2014. Poltergeist. (n.d.). Retrieved November 28, 2014. Marquina, S. (2014, October 17). Poltergeist Reboot Scores PG-13 Rating By the MPAA. Retrieved November 27, 2014. Malkin, M. (2014, October 5). Will Poltergeist Remake Include ”They’re Here”? Retrieved November 30, 2014. Bond 24. (n.d.). Retrieved November 25, 2014. London, C. (2014, November 23). You weren’t expecting this, 007. But…BLOFELD’S BACK! Bond will be having kittens as evil foe returns – with double Oscar winner Christoph Waltz tipped to play him . Retrieved November 26, 2014. Leston, R. (2014, November 29). Hilary Swank Linked With Bond 24. Retrieved December 1, 2014. Patten, D. (2014, October 7). Universal Hits Back At “Desperate” James Bond Lawsuit From MGM & 007 Producers. Retrieved November 23, 2014. Fleming, M. (2014, September 16). ‘Ben-Hur’ Remake: ‘Boardwalk Empire’s Jack Huston Lands Title Role. Retrieved November 28, 2014. Sneider, J. (2014, November 13). ‘Ouija’ Star Olivia Cooke May Play Jack Huston’s Sister in ‘Ben-Hur’ Remake (Exclusive) – TheWrap. Retrieved November 29, 2014. Metro-Goldwyn-Mayer is an American film production and distribution company. It also makes and distributes content for television. MGM has long been considered one of the most glamorous film production companies, winning over 200 Oscars since it was founded, and contributing to the Golden Age of Hollywood bragging that it had, “more stars than there are in the heavens.” As of April 2014, MGM has been celebrating its 90th year as a company with DVD and digital release promotions of its most popular film releases. The company has taken on a major role in the global market for making and distributing films and television. MGM began in 1924 as the consolidation of Metro Pictures Corporation, Goldwyn Pictures, and Louis B. Mayer Productions at the hands of Marcus Loew; who never lived to see the glittering company of stars that later unfolded. Over the past ninety years, MGM has roped in hundreds of Oscars, including Best Picture awards like Gone With the Wind, Midnight Cowboy, West Side Story, and The Silence of the Lambs. MGM was one of the first film companies formed in Hollywood when motion pictures became a lucrative business, and for about thirty straight years, it was the most dominating, dazzling force in Tinsel Town. The famous Leo the Lion logo has always been the face of MGM, and the emblem received its roaring sound in August of 1928 . MGM is a privately owned company. Although the company’s numbers are stable at the moment, MGM has suffered during the transition of the Digital Age in film distribution. It had to declare Chapter 11 bankruptcy in 2010 after digitalizing many of its most popular films, and putting them on iTunes. The company acquired too much debt to pay off, so companies like Spyglass Entertainment and Lions Gate stepped in to alleviate the financial burden. MGM’s debt was also a result of its lack of DVD sales. MGM had a revenue of $464 million last quarter, which is down from $903 million the previous year (a 49% drop). The company is currently making its way out of debt, trying to mirror the successes of films like Skyfall, The Girl with the Dragon Tattoo, Red Dawn, and Cabin in the Woods. While MGM is currently a privately owned company, it intends to be publicly traded once it buys up Investor Carl Icahn’s $590 million shares of the company. Fargo (television series): the premier of Fargo on FX this year marked a prosperous project for MGM Television. The series is based off of the Coen Brothers’ classic 1996 dark comedy film about a no-good drifter that rolls into a small town in Minnesota and negatively influences the innocent town. The first season is so far very successful, earning a positive rating of 9.4 out of 10 on IMDb . Starring Billy Bob Thornton, Allison Tolman, Colin Hanks, and Martin Freeman, this series began on April 15, 2014 and is keeping the original creators (the Coen Brothers) on as executive producers. The series is being produced alongside FX Productions. Robocop: this remake of the 1987 science fiction action film stars Joel Kinnaman, Gary Oldman, Michael Keaton, and Samuel L. Jackson. The film is set in 2028 Detroit, and is about a top-notch cop, husband, and father who is brutally injured in a car bombing incident. The only way he can survive is by fusing his body with a computer-generated robot body suit that makes him an efficient investigating and killing machine for the corporation that built the suit. He must find a balance between the computer that he’s become, and the human soul deep inside of himself. The film has so far exceeded its budget, but is proving to be a bust for film ratings, receiving a 48% on Rotten Tomatoes . 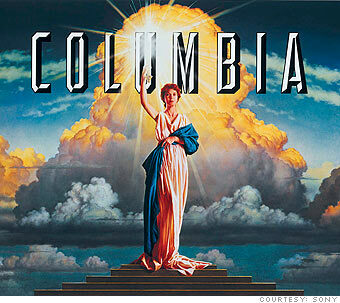 The film is being produced alongside Columbia Pictures. 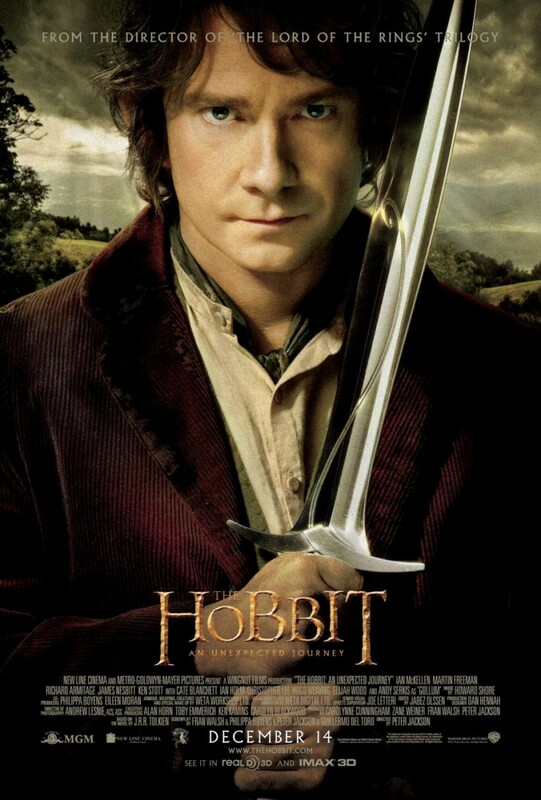 The Hobbit: The Desolation of Smaug was a blockbuster success during the holiday season of 2013. Starring Ian McKellen, Martin Freeman, and Richard Armitage, this film is the second in a three part trilogy for the franchise of The Lord of the Rings. Hobbit Bilbo Baggins and his team of other magical friends from Middle Kingdom go on an adventure to save the land from Smaug, while discovering the power of a mysterious yet magical ring. The film franchise has proved to be a major success since it began, and continues the financial prosperity on high-tech mediums such as blu ray, 3D, and digital quality  . The film was distributed alongside Warner Brothers Entertainment. 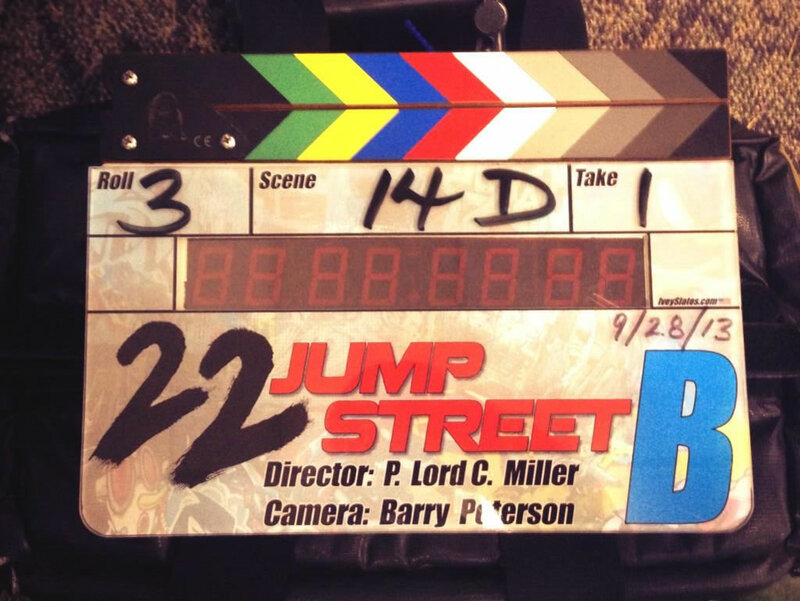 22 Jump Street is set to be released on June 13, 2014. 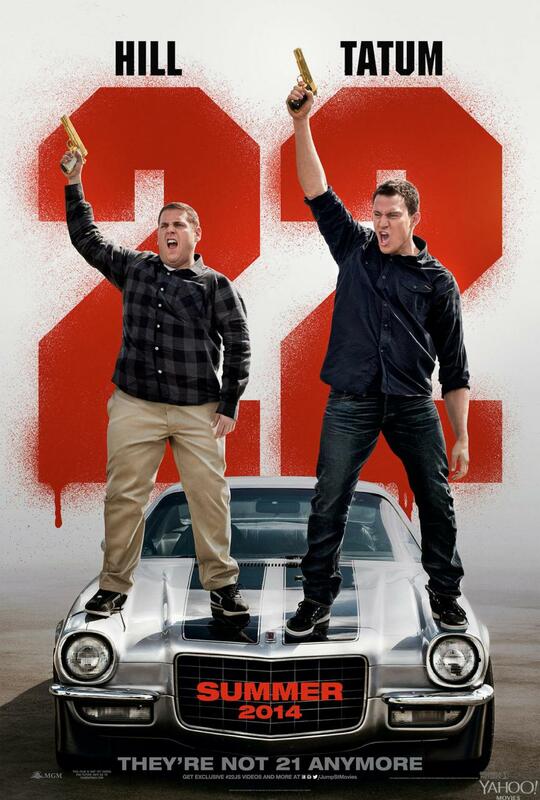 Starring Channing Tatum and Jonah Hill, this will be the sequel to the smash hit 21 Jump Street, which was based off of the 1987-1991 television show. The film will be about sending two low level cops undercover at a local college to find the source of a major drug deal. This film is not yet rated. This film will be distributed alongside Columbia Pictures. 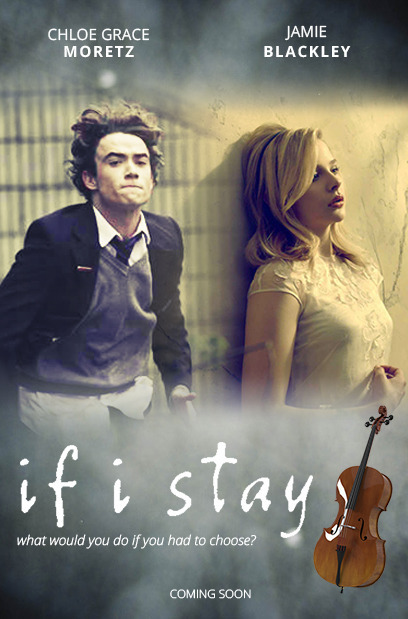 If I Stay is an upcoming drama film about a gifted young cellist who has to make the most difficult decision of her life: attend Julliard and follow her dreams, or stay with the love of her life. Her decision gets even more difficult when she and hew family are in a car accident and her very life hangs in the balance, and she must decide whether to live a difficult life, or not live at all. The film stars Chloe Grace Moretz, Mireille Enos, and Jamie Blackley, and is set to be released August 22, 2014. This film will be distributed alongside Warner Brothers Entertainment. In October, Chairman and CEO Gary Barber announced that Jonathan Glickman will continue his role as president of the Motion Pictures Group until 2017. In 1924, MGM came to be when Marcus Loew arranged a merge between Goldwyn Pictures, Metro Pictures Corp, and eventually Louis B. Mayer Pictures, creating Metro-Goldwyn-Mayer. The studio dominated the Hollywood industry for many years, discovering many new stars and producing award winning movies, such as Gone with the Wind and The Wizard of Oz. In 2010, MGM filed for bankruptcy, hindering their ability to make new movies. Fortunately, that same year, MGM emerged from this crisis and began to produce movies again. In November 2012, MGM reported a $23.4 million net profit for the the third quarter in 2012, increasing from the $15.2 million net profit from the third quarter in 2011. MGM had a $4.3 million loss in operating income, as opposed to its $32.8 million gain in the third quarter of 2011. CEO Gary Barber claimed that the results were hurt by distribution and marketing costs of the films, which MGM spent more money on this year than the previous year. Yet, he remains optimistic, as MGM expects to have a substantial increase in revenue in the fourth quarter results with the succesful release of Skyfall and the highly anticipated The Hobbit: An Unexpected Journey. In October 2012, MGM won appeals court in a long battle against the financial backers of the movie Madison, starring Jim Caviezel. In 2009, the backers of the 2005 film sued MGM, claiming that MGM’s failure to distribute the film cost them millions of dollars. The backers of the film sued the studio in Illinois, but the court ruled in favor of MGM, deciding that MGM did not have enough contact with this state as a basis for the lawsuit. Roger Birnbaum, who became co-CEO with Barber in December 2010, recently stepped down in November to become one of MGM’s producers. He wanted to focus more on movies and talent, instead of working on the business side of the film industry. He will begin his new role as the executive producer of RoboCop, set to release in 2014. RoboCop is a remake of the 1987 film. Co-produced by MGM and Time Warner, The Hobbit: An Unexpected Journey, based on J.R.R. Tolkien’s novel The Hobbit, will be released in the United States on December 14, 2012. This film is expected to break box office records, contributing to an annual box office increase, which hasn’t happened since 2009. Media analysts predict that this film will help draw viewers into the movie theaters again, despite the growing competition of the television and the Internet. This film has been widely anticipated, ever since the release and success of the Rings trilogy. This film will also be released in 3D and IMAX. The director of the film, Peter Jackson, shot the film in 48 frames per second, compared to the 24 frames per second of standard films. His goal was to make the audience feel more engaged and part of the journey. Some fear that this will make them feel sick, but scientists assure audiences that this won’t be an issue. According to the movie’s twitter handle, @TheHobbitMovie, audience members can buy their tickets ahead of time through Fandago, an online service that sells movie tickets via the internet, and get a free song from the soundtrack in exchange. Skyfall, MGM’s latest James Bond movie, has brought in $869 million worldwide. MGM co-produced this movie with Eon Productions and Sony Pictures. This latest chapter in the franchise is the highest grossing James Bond movie of all time, starring Daniel Craig and Javier Bardem. This film was released on the 50th anniversary of the series, directed by Oscar winner Sam Mendes. Skyfall came very close to the #1 spot at the box office the first weekend of December, with Summit Entertainment’s The Twilight Saga: Breaking Dawn-Part 2 barely edging it out. Skyfall helped break the domestic box office record for Thanksgiving weekend, raking in $290 million. The previous record was $273 million in 2009. This was also the first Bond film to ever appear in IMAX. In addition to the US market, Skyfall was a sensation in foreign markets, not only as the most succesful film of 2012 at the UK box office, surpassing Dark Knight Rises, but also as the highest grossing film in the UK box office history, surpassing Avatar. On its opening weekend in various foreign markets, it debuted as number one in 25 different countries. On November 21, MGM released a remake of the 1984 film Red Dawn, grossing a domestic total of $38.4 million as of December 5, yet with an estimated $65 million production budget. Despite the famous stars of the movie, such as Josh Hutcherson, Josh Peck, and Chris Hemsworth, this action remake has received negative ratings amongst the critics, with a small 12% score from Rotten Tomatoes, a popular website that reviews films. Filming of Red Dawn was completed in 2009, and was set to be released in November 2010, but MGM’s financial troubles made this difficult, therefore the film was not released until two years later. In September 2012, pay TV company C More Entertainment renewed a multi-year licensing agreement with MGM, giving this Nordic region TV channel provider the rights to air a large selection MGM’s movie library on linear and on-demand channels. This gives C More the right to air both movies that have already been released, such as Girl With the Dragon Tattoo, and movies that have yet to be released, such as The Hobbit trilogy. This deal also ensures that C More subscribers can watch all the movies on different platforms, such as computers and mobile devices via their internet service, C More Play. This is the logo for C More Entertainment, a pay TV company for the Nordic region. MGM renewed partnership with Sky Italia, a new Italian satellite platform, enlarging MGM’s library on Sky Cinema. Starting in September, Sky Cinema Classics began hosting the best of MGM catalogue in high definition, with almost 200 titles per year. These films will also appear on Sky On-Demand, a new innovation from Sky Italia. MGM and Paramount Pictures will co-produce Hercules, a famous fiction movie about a heroic man. MGM was initially the only studio involved in the project, but Paramount recently signed on to produce as well. The film is set to start filming in the beginning of 2013, with Brett Ratner as the director. 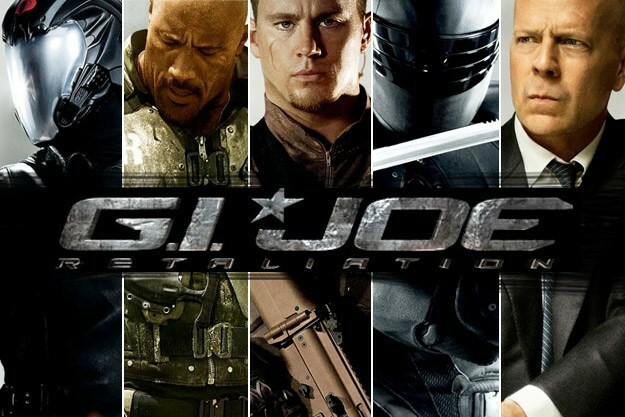 The film has confirmed Dwayne Johnson to star in the film. Ryan Condal wrote the script, which he adapted from the novel, Hercules: The Tharacian War. To keep updated with all of MGM’s other projects, follow them on Twitter and like them on Facebook.